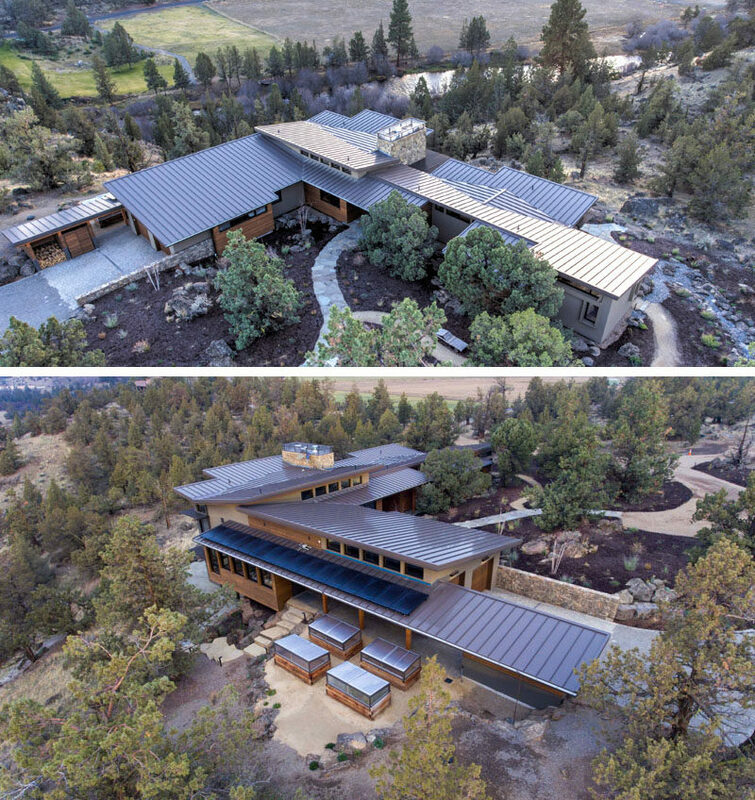 Nathan Good Architects has designed a new contemporary house that’s nestled into a bluff above the scenic Deschutes River in Central Oregon. 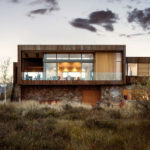 Designed to enable the owners to “thrive in place” with single level living, the house, named Live Edge, is tucked amongst rock outcroppings and juniper trees, and has views of the cattle grazing lands below. 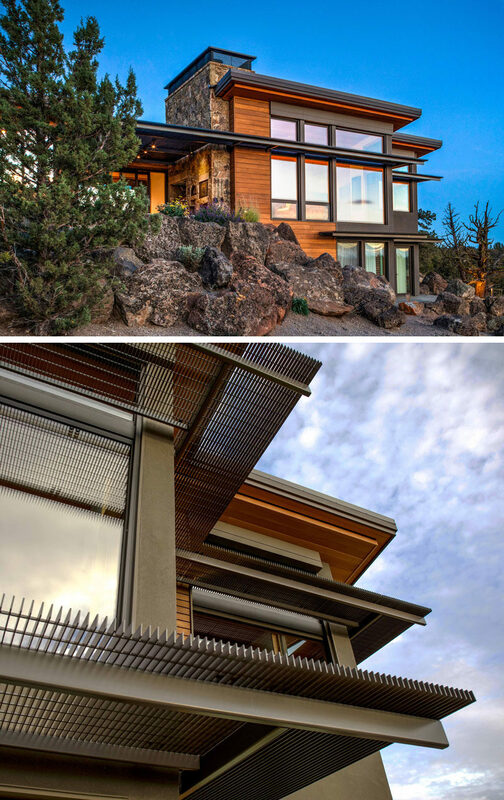 Walls of windows with exterior sun shades regulate light, glare and heat into the home, while metal sunshades provide summer shade as well as a platform for window cleaning. 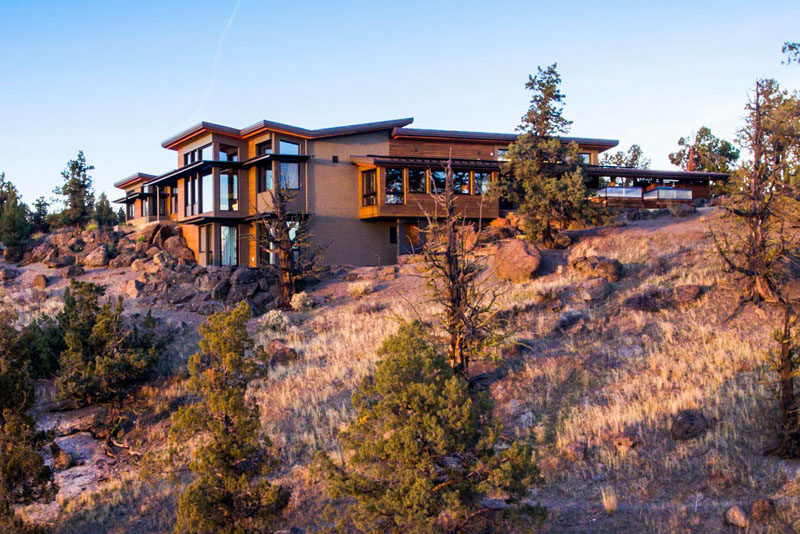 A curved entry wall escorts visitors into the home and widens to an expansive view of the valley beyond. 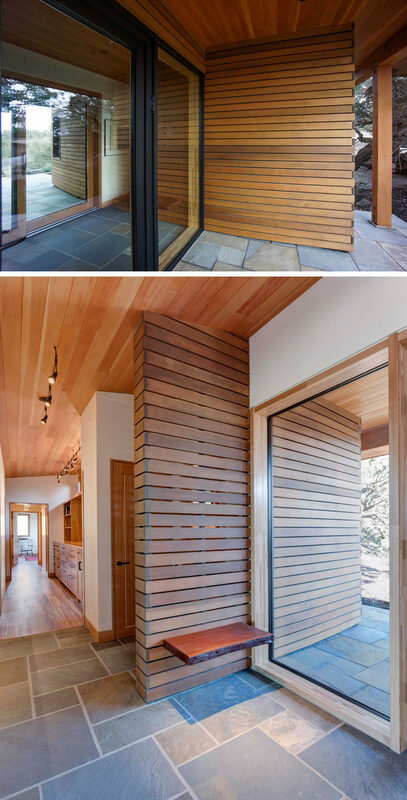 A simple live edge wood slab serves as a bench for removing shoes upon entering the home. 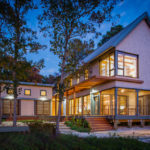 The open-plan interior of the home features natural materials, a dining area with a sustainably harvested Sapele wood dining table sporting its live edge, and wood floors throughout the home that came from hardwoods salvaged from shipping crates. 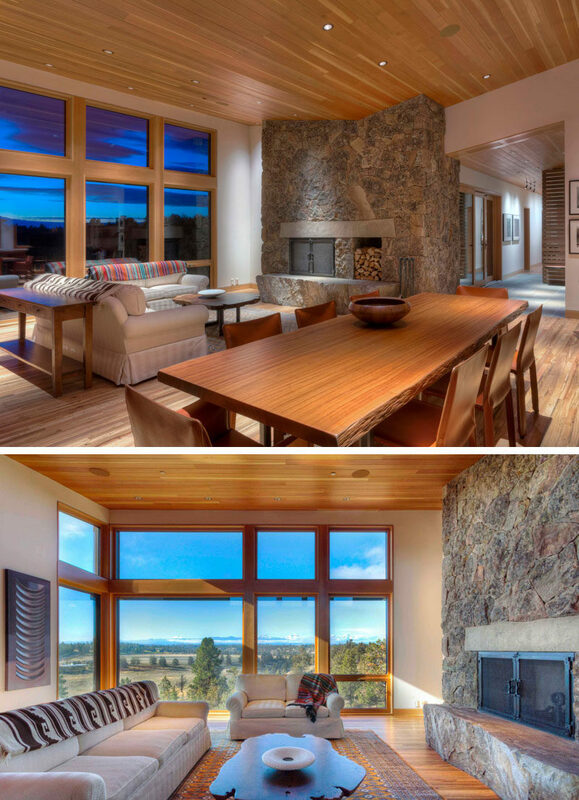 A wall of windows looks out over the Deschutes River with views to the Cascade Mountain Range beyond. 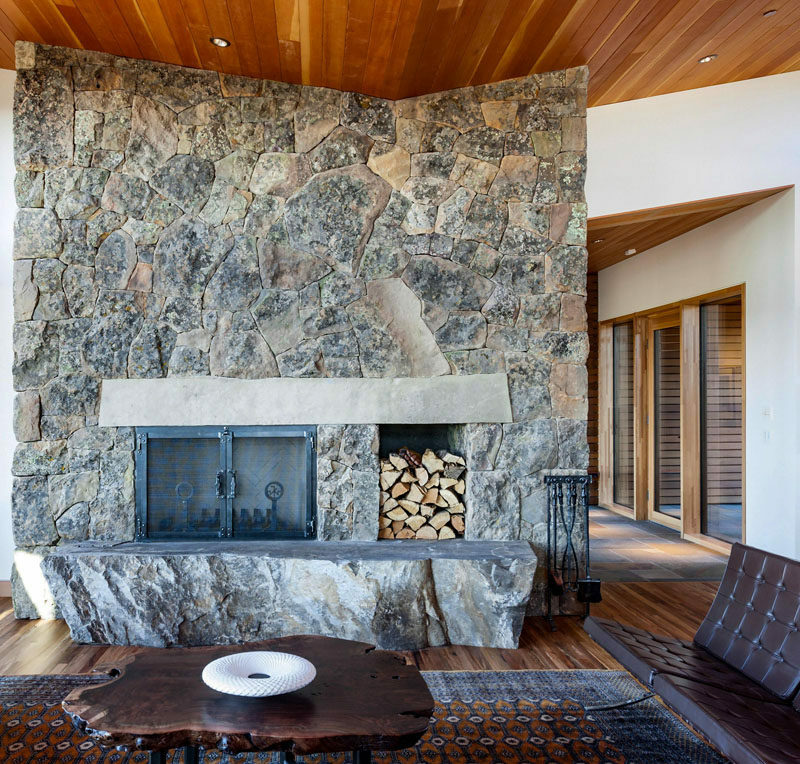 A single slab of stone serves as the hearth and another as the mantle to the home’s wood-burning fireplace. 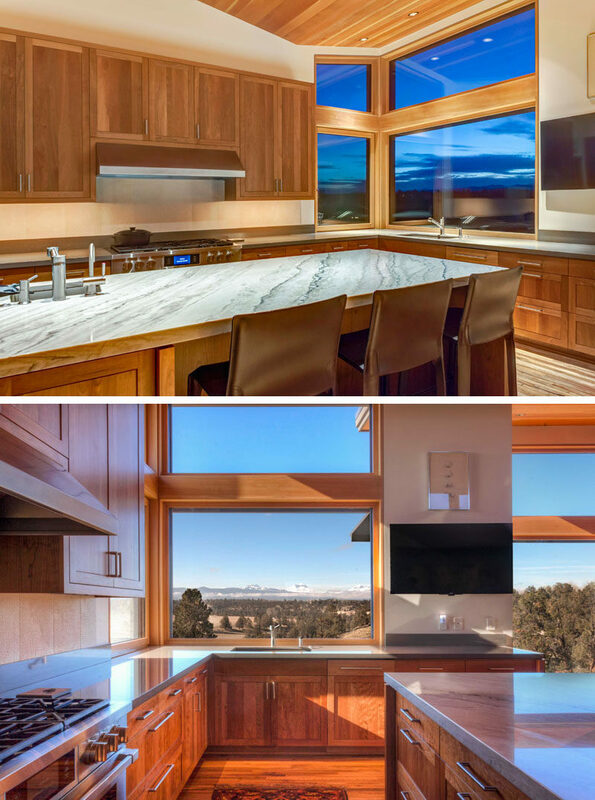 The open kitchen with wood cabinets visually connects to the living room, and a large island provides plenty of counter space for cooking and entertaining. 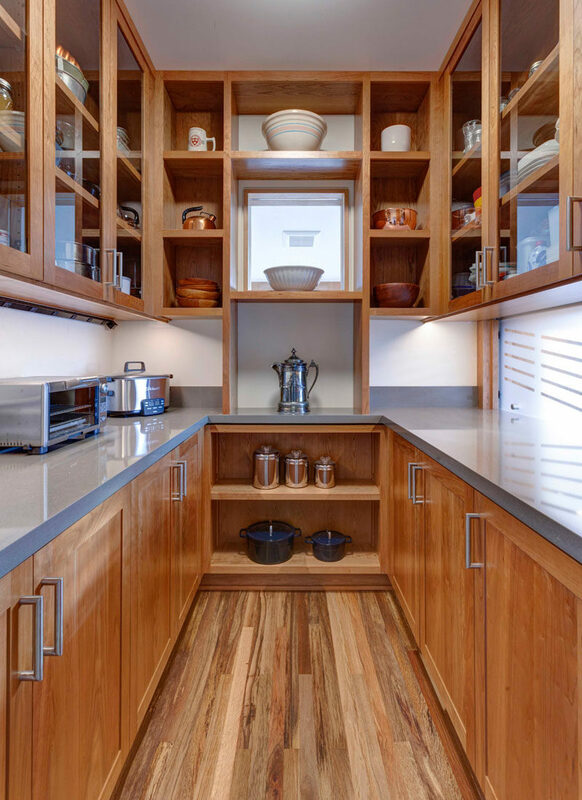 A butler’s pantry allows for an abundance of storage in the form of open shelving, glass-fronted cabinets, and lower wood cabinets. 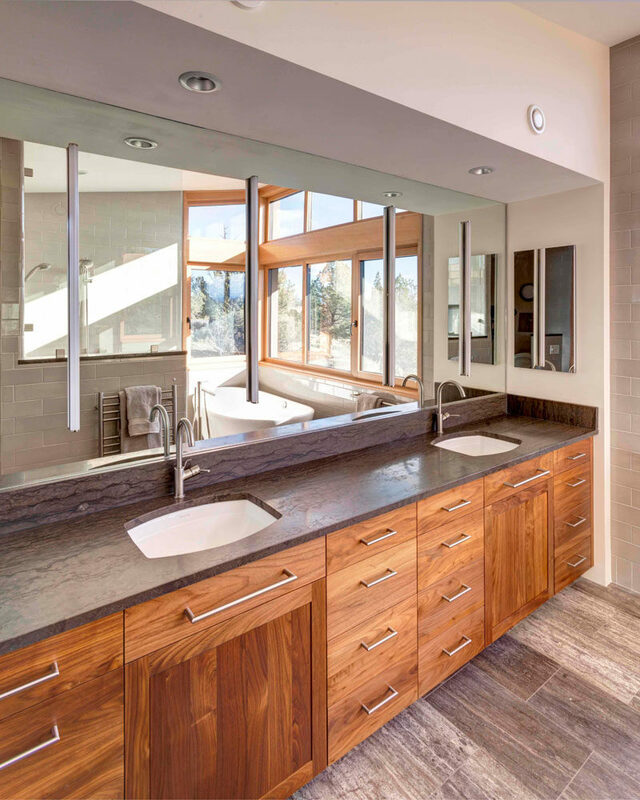 In the bathroom, a large mirror reflects the light from the window and views of the valley, while wood cabinets and a stone counter bring a natural touch to the interior.